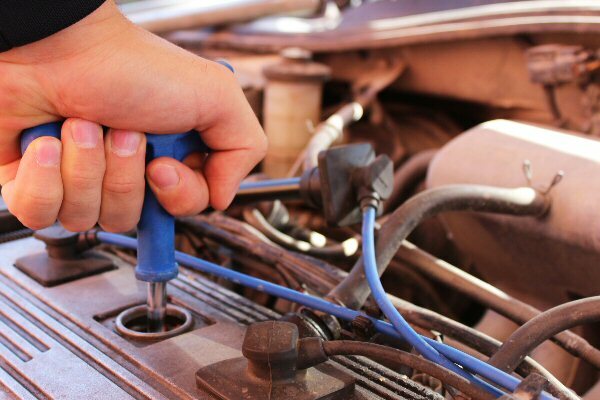 No matter the age of your car, new or old, it will eventually need a tune up. This can be basically defined as preventative maintenance, including replacing spark plug wires, filters and other worn parts. Sometimes your vehicle will show signs indicating it needs a tune up and often it will show no signs at all until it breaks down. Common symptoms are increased difficulty to start, occasional or frequent stalling, knocking sounds or rough idle and bad gas mileage. Regularly scheduled maintenance will greatly reduce the chances of having any issues in this area, the period of time between maintenance will vary depending on the age of your vehicle. We can let you know what the manufacturer’s recommendations are for your vehicle.